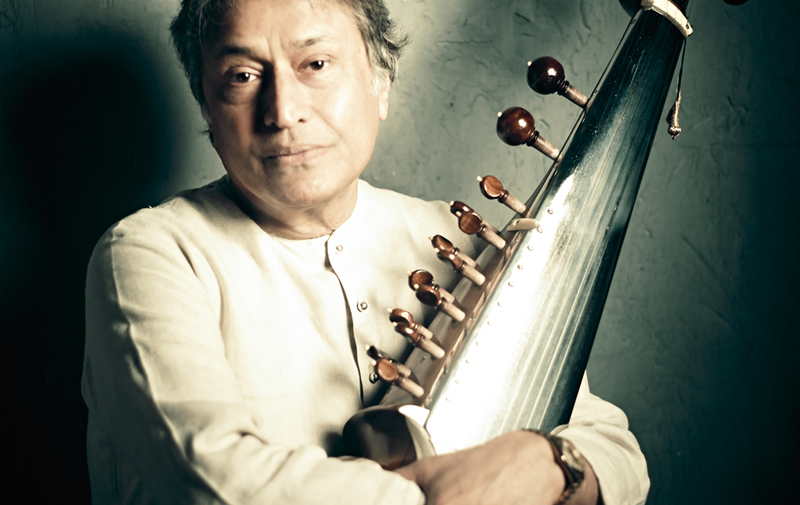 Amjad Ali Khan is one of the undisputed masters of the music world. For many, he takes on a celestial avatar when he is playing the Sarod. Born to Sarod icon Haafiz Ali Khan, he gave his first performance at the age of six. Over the course of his career, he has delivered his music in a flexible instrument line that is vocal in its expressiveness. He has reinvented the technique of Sarod playing which today is distinct in its nomenclature. He has won numerous accolades including a Grammy nomination, the Crystal Award by the World Economic Forum and has performed at venues the world over including Carnegie Hall and the Royal Albert Hall. Amaan Ali Khan and Ayaan Ali Khan represent the 7th generation of a musical lineage, as sons and disciples of the sarod icon,Amjad Ali Khan. With him they have performed across the globe at the Kennedy Center, and Smithsonian and WOMAD festivals on many continents. They have also collaborated with guitarist Derek Trucks of the Allman Brothers Band, among others, and established themselves as a duo, carrying forward their musical legacy in sync with both tradition and contemporary times. In 2014, Amjad Ali Khan, Amaan Ali Khan and Ayaan Ali Khan performed at the prestigious Nobel Peace Prize Ceremony in Oslo, Norway on as well as the Nobel Peace PrizeConcert along with the lineup of Queen Latifa, Steven Tyler, Nuno Bettencourt and Laura Mvula. They present traditional Indian Classical Ragas and Indian Folk Music that will be interpreted on their Sarods. “de Natura.” David Edmonds, conductor. UNM Music Prep School Share Day. Performances by the students in the UNM Music Prep School. UNM Early Music Ensemble. Students will perform music from the Middle Ages & Renaissance on period instruments. Directed by Colleen Sheinberg. Solo and Chamber Recital. Featuring the 2018–2019 Friends of Music scholarship recipients. Choral Concert. Featuring Dolce Suono, directed by David Edmonds, and Las Cantantes, directed by Maxine Thévenot. Featuring works by Joseph Schwantner, John Mackey and David Maslanka. Conducted by Eric Rombach-Kendall. Featuring the students of Falko Steinbach. First Presbyterian Church (215 Locust St. NE). University Chorus, conducted by David Edmonds, with the First Presbyterian Church Choir. Featuring students of Eric Lau. Featuring the students of Valerie Potter. Featuring the students of David Schepps. Featuring the students of Timothy Skinner. Featuring students studying in the Lab School under the direction of the UNM String Pedagogy Intern Teachers. Directed by David Felberg, Karola Obermüller and Peter Gilbert. UNM Children’s Chorus. Directed by Regina Carlow, Julia Hoffman and Penny Voss. Dr. Jacobsen, was recently awarded the Fulbright Con Il Sud Award for Teaching and Research to support her upcoming research during her sabbatical year on the Italian island of Sardinia [Sardigna]. This lecture is in two parts: the first draws from my research on the 1960s jazz avant-garde and musicians’ interests in heterophonic musical textures. For the second part, I perform original music that utilizes heterophony and “noise” in a solo electronic and improvised format. The masculine ideal represented by the American cowboy is variously interpreted by spectators, dancers, musicians, and contestants at gay rodeos and country western dances across the U.S. Examining embodied gender practices within these communities, this talk articulates the sonic, social, and geographical spaces of the gay American West.